Hey everyone. I'm back again today with another V and M Natural product. 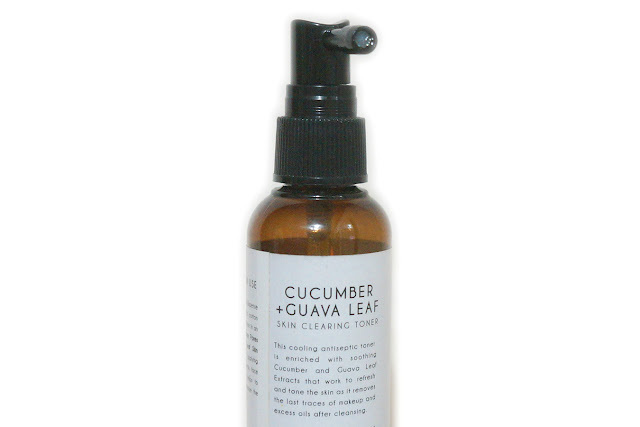 This Cucumber + Guava Leaf toner is made for those with acne-prone or troubled skin. The natural ingredients also means it can be used even by those who have sensitive skin. I was combating an onslaught of bad acne the past few months so I purchased this one with the hope of helping clearing them out. Fortunately, it did help with my hormonal, cystic pimples. My pimples were quite savage, and a combination of Tea Tree oil as well as this toner, helped heal them up nicely. I used this toner twice a day, morning and before I sleep, as well as when my skin feels dry. For me, this is a multi-purpose product. 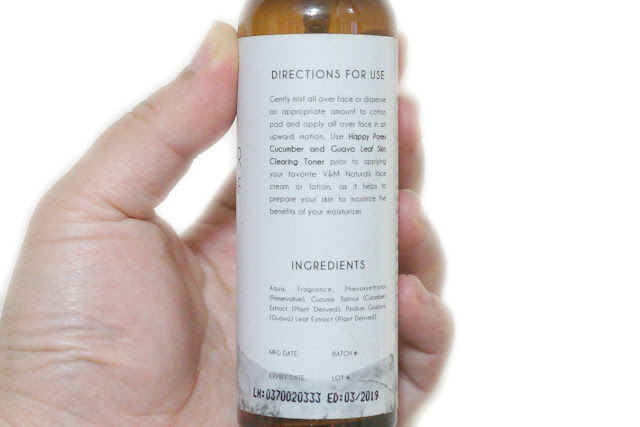 This toner is alcohol-free so it doesn't dry up your skin, yet it is potent enough to help get rid of stubborn pimples. 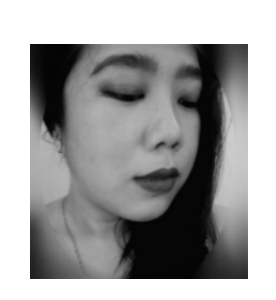 After a week of diligent use, my acne gradually cleared up. 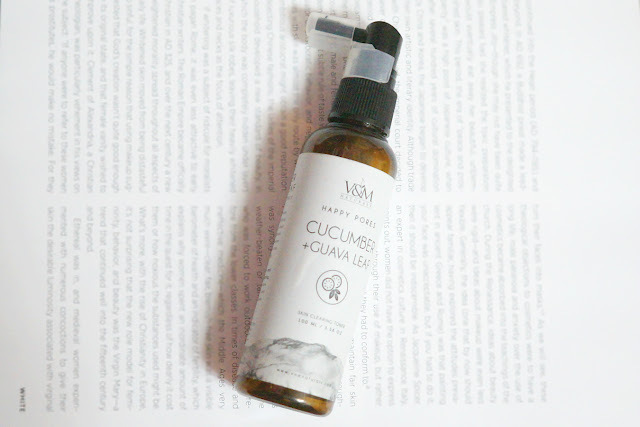 The cucumber extract also helped freshen up and hydrate my skin. I didn't experience any negative effect with this toner. 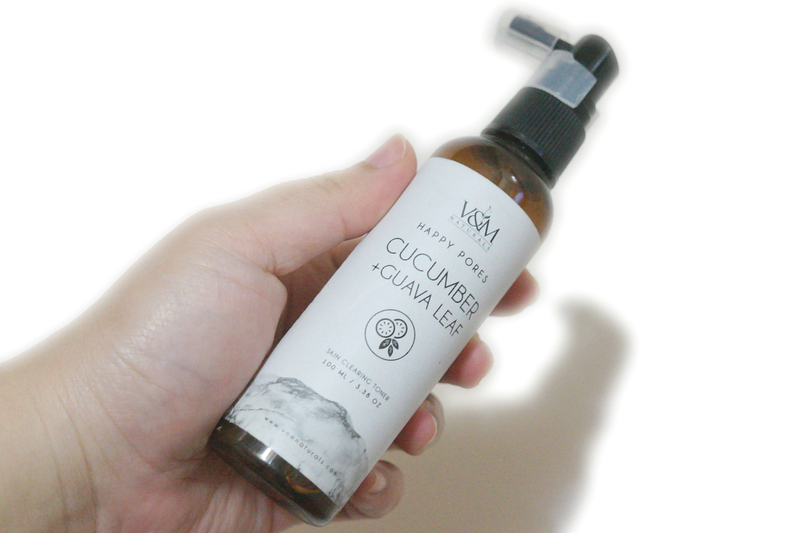 Personally, I prefer this Cucumber + Guava Leaf variant vs. the Witch Hazel one because this gives the added benefit of acne-prevention without being too harsh on the skin.